Registration has closed on the final @AnteUpMagazine Worlds Monolith flight and the board shows 353 entries today. 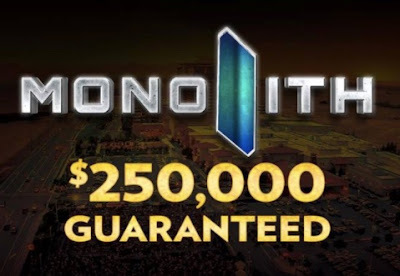 This moves the total field to 853 entries and a prize pool of $342,000 - well beyond the $250k Guarantee. 36 players are going to advance out of today's flight and on to Sunday's 11am start Day 2. Those finishing in 37-43rd place today all cash for $650 but do not advance to Sunday. Play ends for the day when down to 36 players who all bag-n-tag to come back Sunday. The full Pay Table is going to post later today.